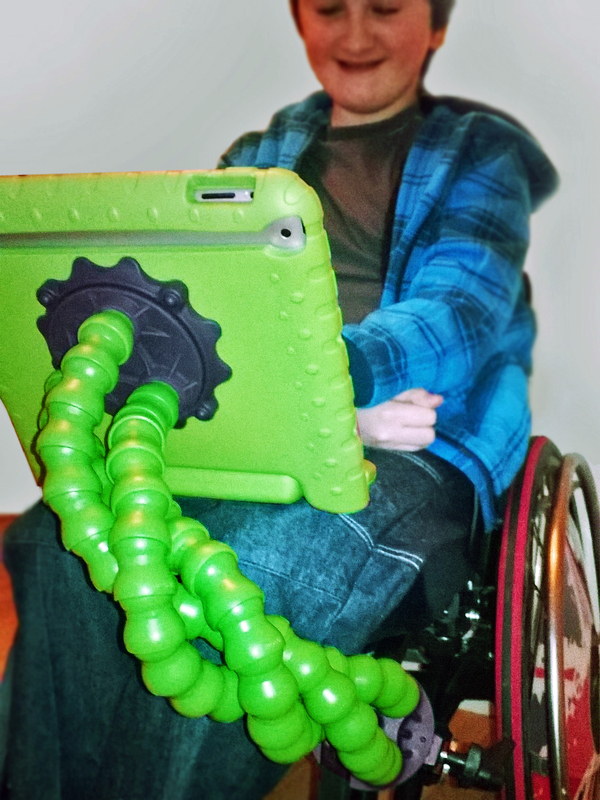 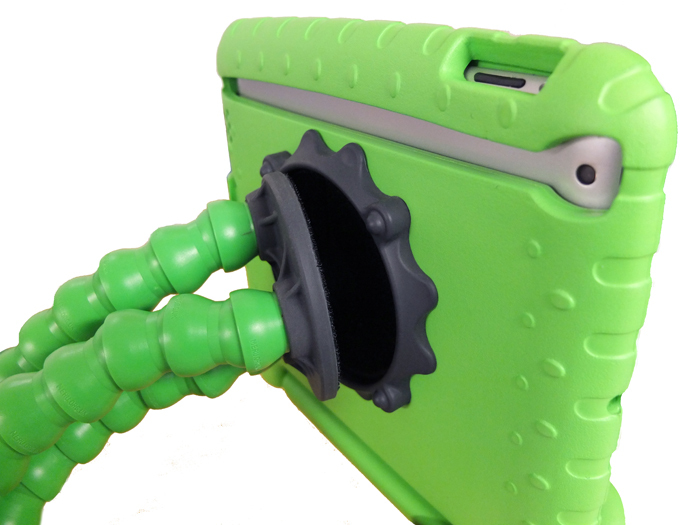 Flexzi 3 is an extra-strong, triple-stranded Flexzi complete with detachable iPad case. 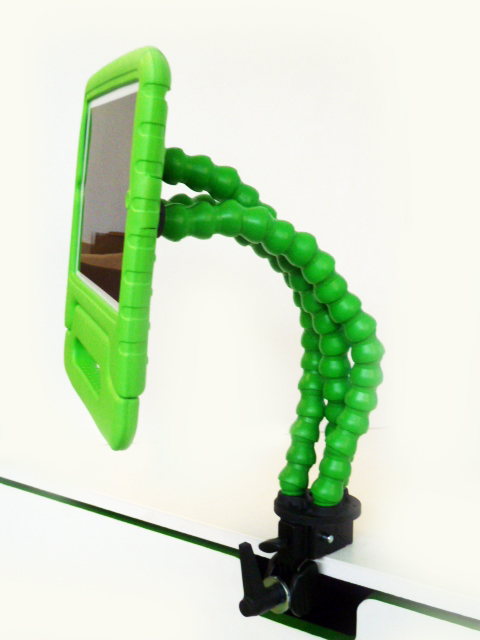 Still flexible and easy to position but more stable and secure with great protection of your precious devices. 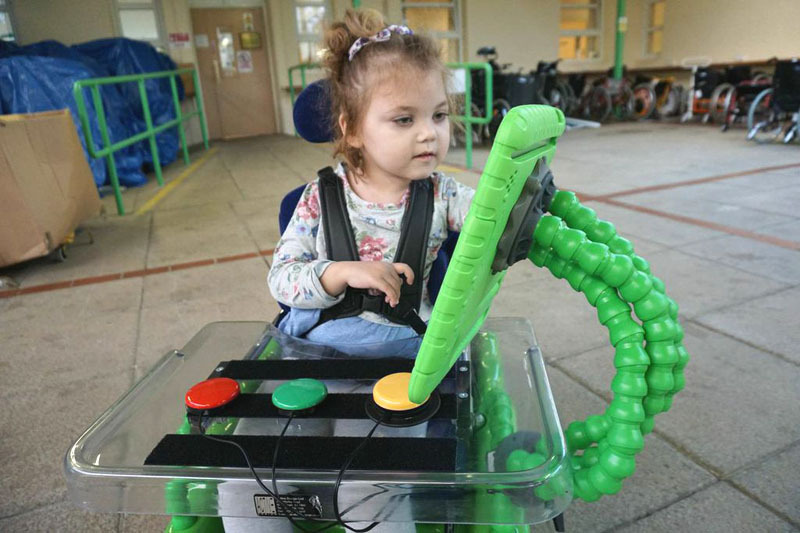 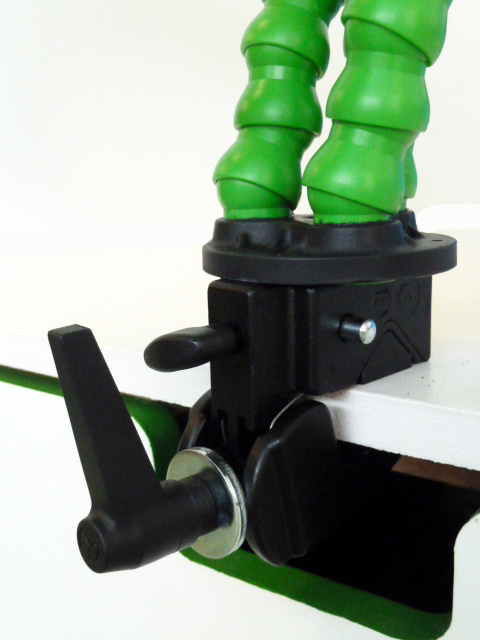 The clamp mounted option allows a longer reach for clamping to wheelchairs, bed frames etc. 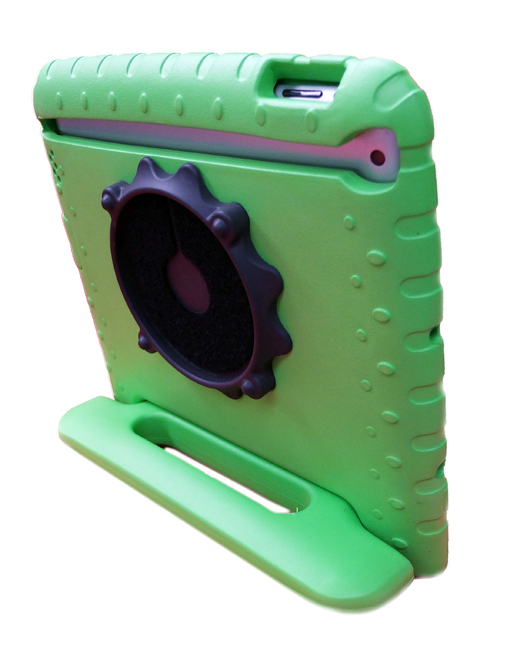 A free-standing version is also available for tables and desks. 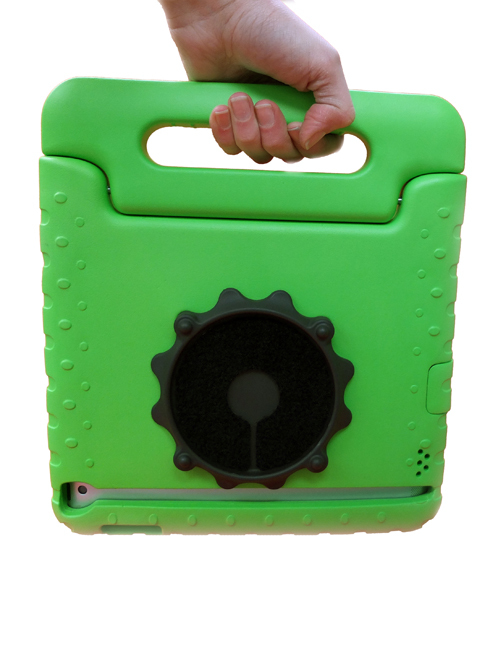 The case has its own carry handle and is made from thick EVA foam. 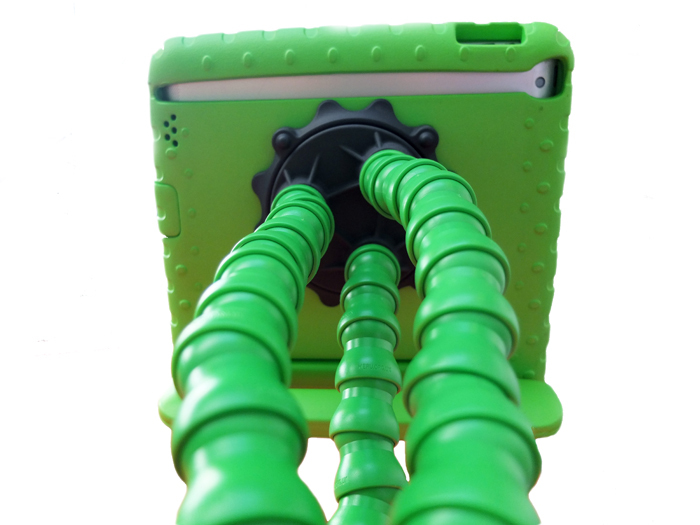 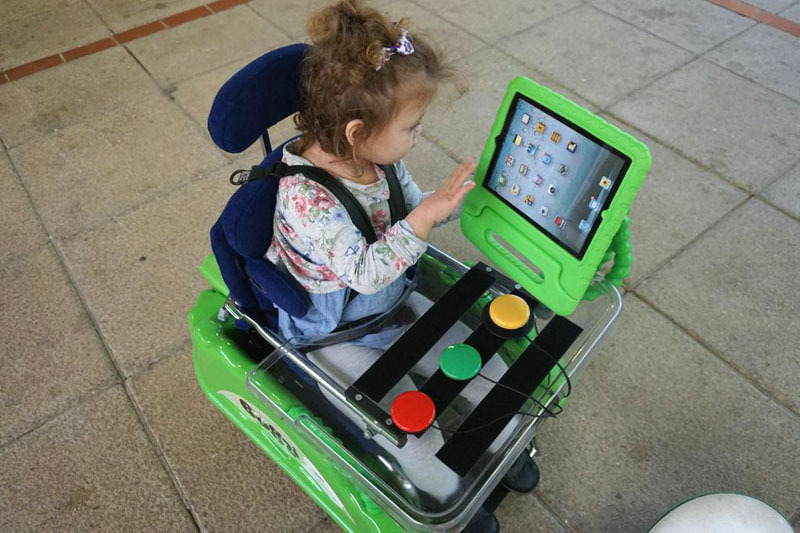 It can be removed for portability, and other devices can be mounted onto the Flexzi. 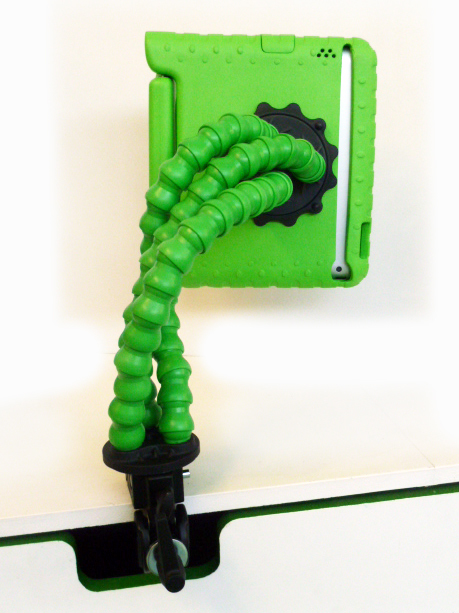 See also Flexi 1 and Flexi 2.